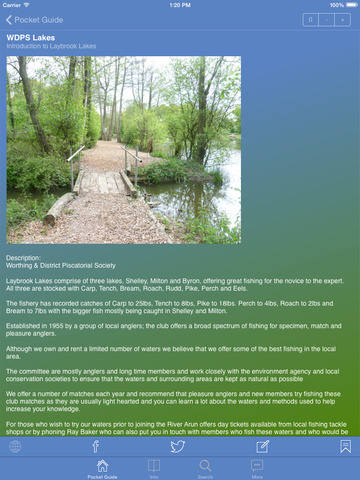 Welcome to the Pocket Guide to the Worthing District Piscatorial Society (WDPS) Laybrook Lakes, an ideal guide to the swims of these three specialist carp lakes set in the heart of the Sussex countryside in the UK. Not just limited to Carp, the Laybrook Lakes are well stocked with Common Carp, Mirror Carp, Tench, Pike, Perch, Roach, Rudd, Bream and Eel and have a wide range of swims to suit. Private membership is available and the club offers a broad spectrum of fishing for specimen, match (open matches held at these lakes) and pleasure anglers with recorded catches of Carp to 25lbs, Tench to 8lbs, Pike to 18lbs, Perch to 4lbs, Roach to 2lbs and Bream to 7lbs. The club maintains facilities including a car park, toilet block (key available to members), well presented walks and pathways around the lakes for easy access and also holds regular work parties to provide ongoing improvements to these lakes and facilities. 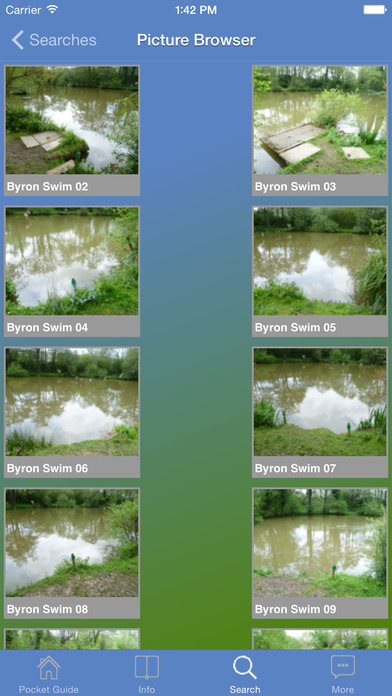 This guide contains useful information and photos for each swim, the water, depths, hints and tips, the fish found in the lakes have detailed entries to help with identification or suggestions along with photographs which can be tapped and zoomed. • Other info as necessary such as image attribution, link to image source. Social features allow posting TEXT and PICTURES to your wall or feeds. There is a text search facility allowing entries to be found using plain text (also supports wildcards), for example "6 to 8 ft*pads". 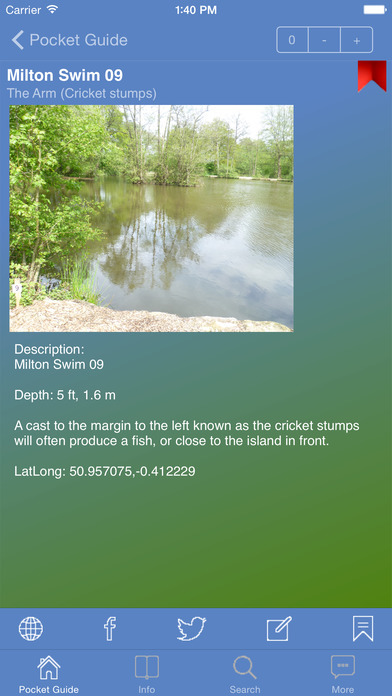 A mapping feature is also included which shows all the swims located on a satellite view and a picture view is provided to quickly locate your swim. 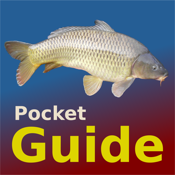 Additional utilities to help you with your fishing planning and trip. Please contact us to discuss the app, raise support questions or make suggestions for improvement using any of the following. • This App DOES NOT require an internet connection for most features. • All images are saved to the applications library/plists folders for reuse as required by associated license agreement where stated, where no license is stated image reuse is not permitted please contact the developers to discuss. • We cannot answer questions on the appstore, please contact us directly with any support questions or issues.